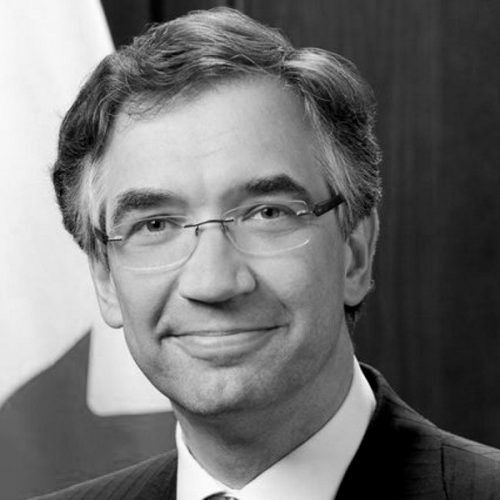 Ambassador of Canada to Ukraine as of 2014, a prominent member of Ukrainian diaspora. Roman Waschuk started his diplomatic career in the Ministry of Foreign Affairs of Canada in 1987, worked in embassies in Russia and Germany, in 2011-2014 – Ambassador of Canada to Serbia, Montenegro and Macedonia. As a Canadian government representative, actively supports the enhancement of bilateral relations with Ukraine in economic, political and cultural domains. Notably, his cadency has been marked by the signature and ratification of the Ukraine-Canada Free Trade Agreement. Roman Waschuk has published on the history of Ukraine and Eastern Europe, defence cooperation Canada-EU and human security.